Today is a special day. It’s my Dad’s birthday today! Because he’s one of my Cooking Heroes, I would like to dedicate this post for my Dad. You’ve gone for quite a while but everything you taught me still lives on. And its time to pass it to my readers. Thanks again Dad. Enjoy your special day up there with an iced cold beer! 12 cloves garlic, crushed and peeled. 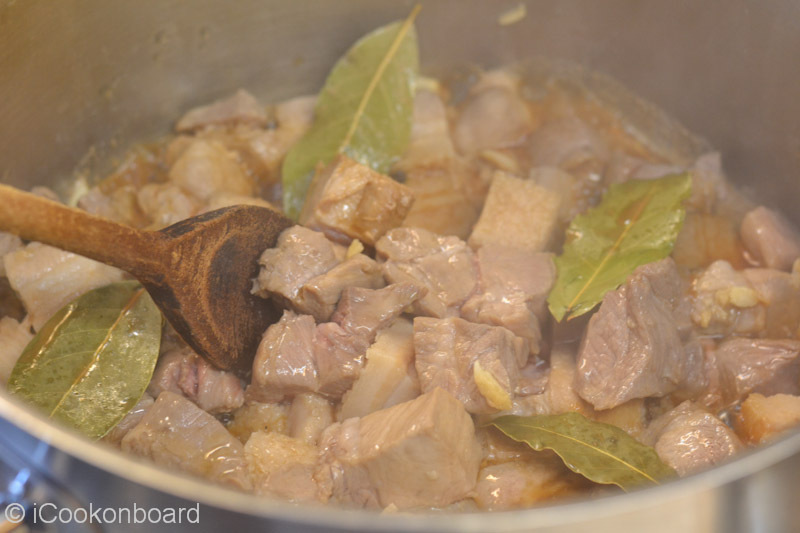 In a large cooking pot, put the pork belly/neck, garlic, bay leaves, black peppercorn and soya sauce. 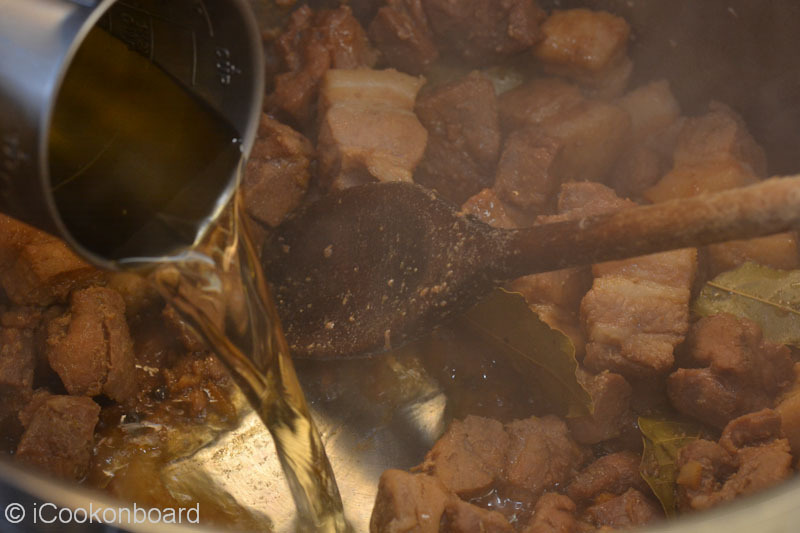 Place on very high heat, stir occasionally to avoid the pork from burning. Bring it to a boil and cover. Lower heat to medium-high. 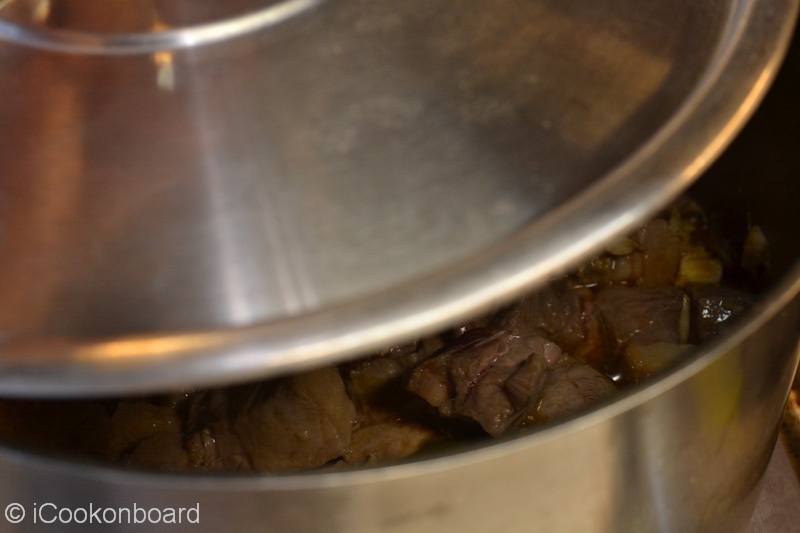 Check now and then until the sauce is drying up. 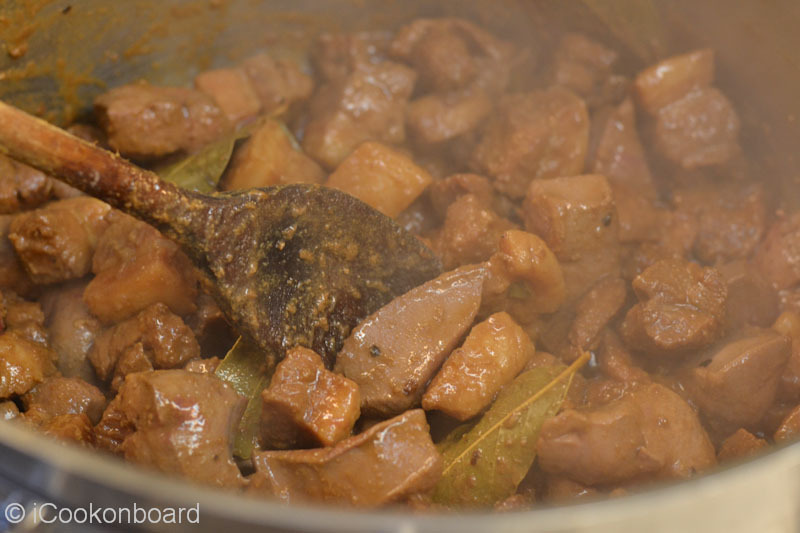 Add water 1/2 cup at a time and continue cooking for 30 minutes or until pork meat is tender. Adding extra water whenever the sauce is drying up. 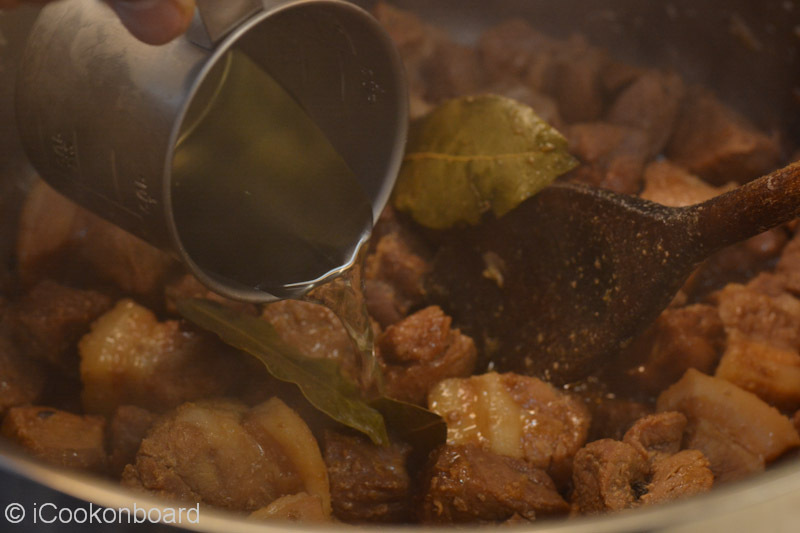 Pour in the vinegar, cover the pot and let it cook without stirring for 5 minutes. 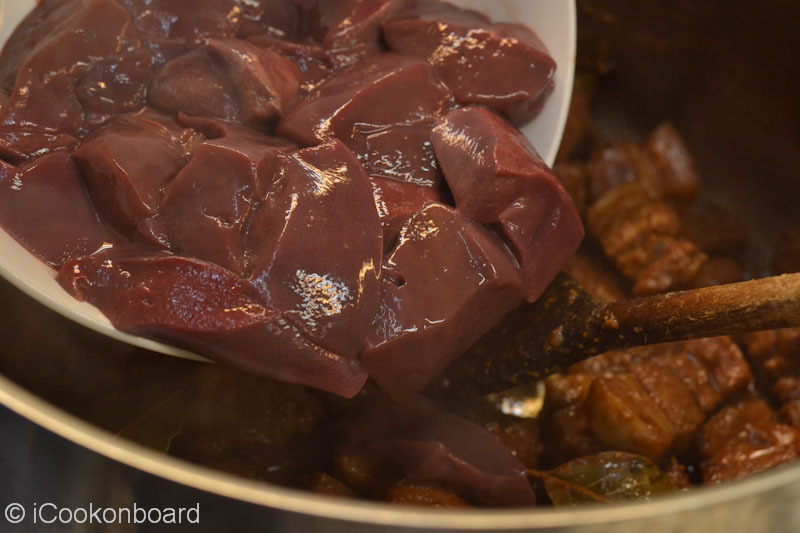 Add the pork liver and bring back the heat to very high. 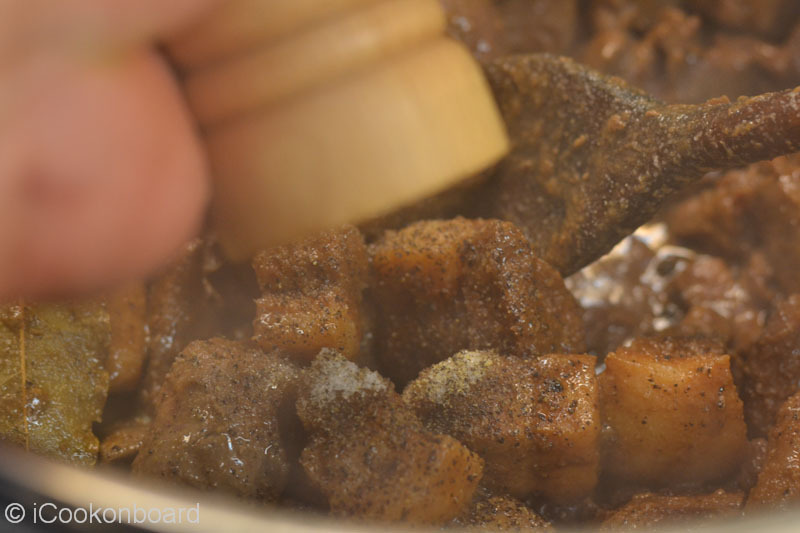 Stir once and cover for 8-10 minutes or until pork liver is done. Squeeze the lemon and add the sugar. Season to taste with salt and freshly grounded black pepper. Tranfer to a serving dish. 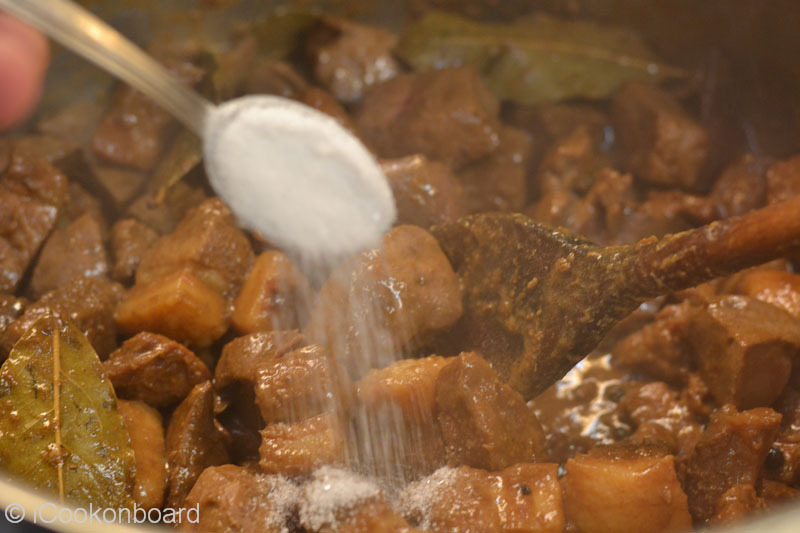 Serve warm with Steamed Rice. Bring it to a boil and cover. Lower heat to medium-high. Check now and then until the sauce is drying up. 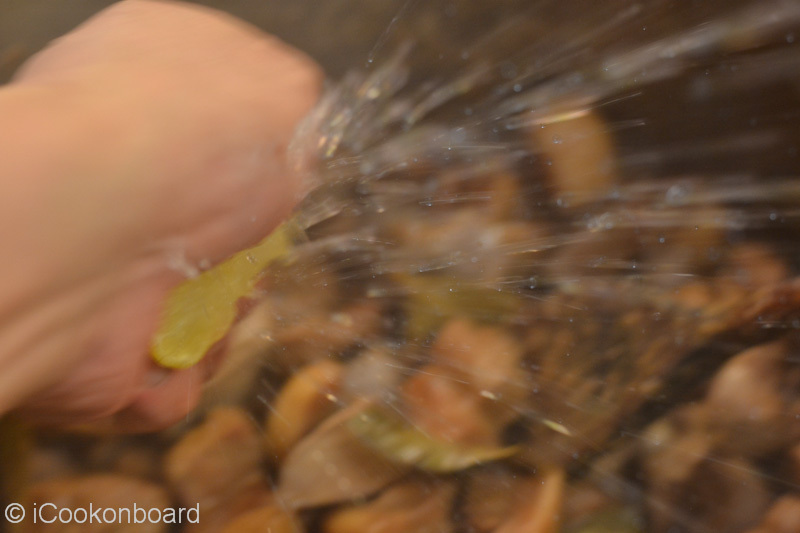 Adding extra water whenever the sauce is drying up. 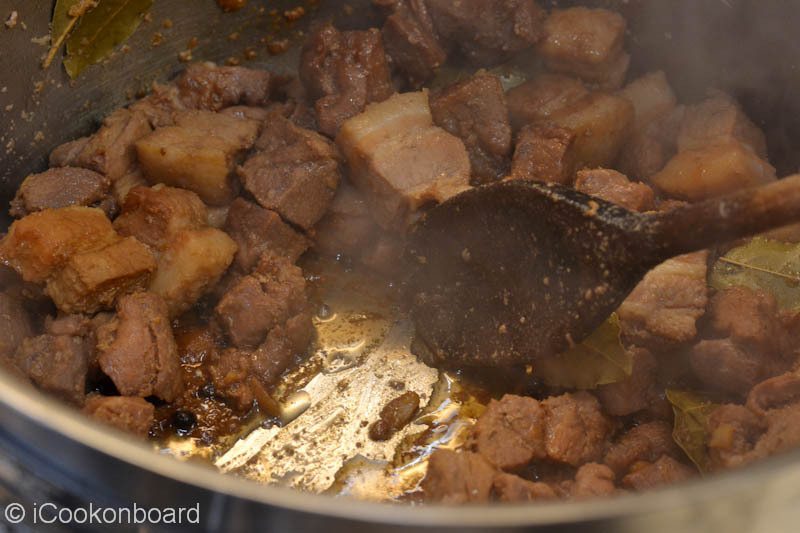 Toughness of the pork meat will depend on the age of the pork. You can taste and check the doneness of the meat. 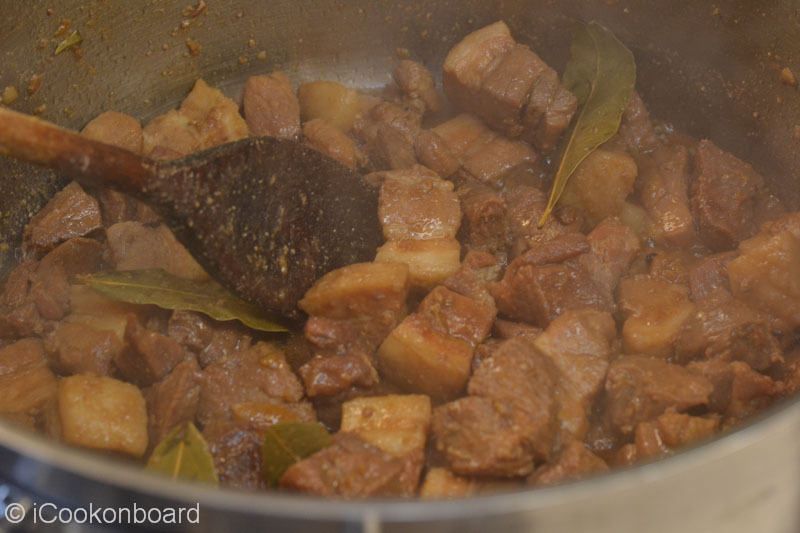 Pour in the vinegar, cover the pot and let it cook without stirring for 5 minutes. 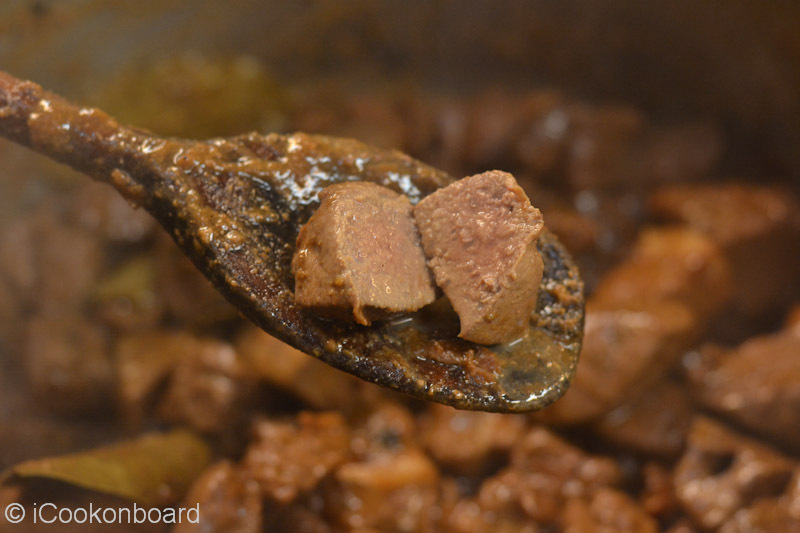 Add the pork liver and bring back the heat to very high. 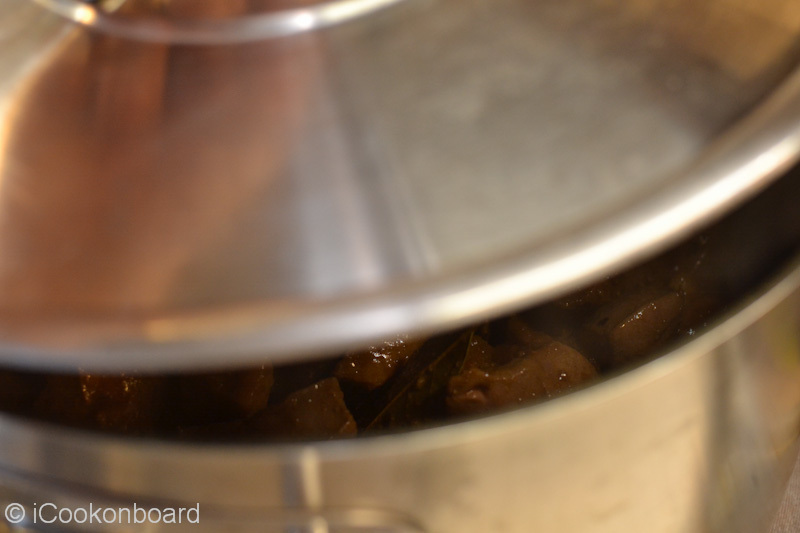 … and cover for 8-10 minutes or until pork liver is done. Cut a piece of pork liver to check the doneness of liver. … and add the sugar. 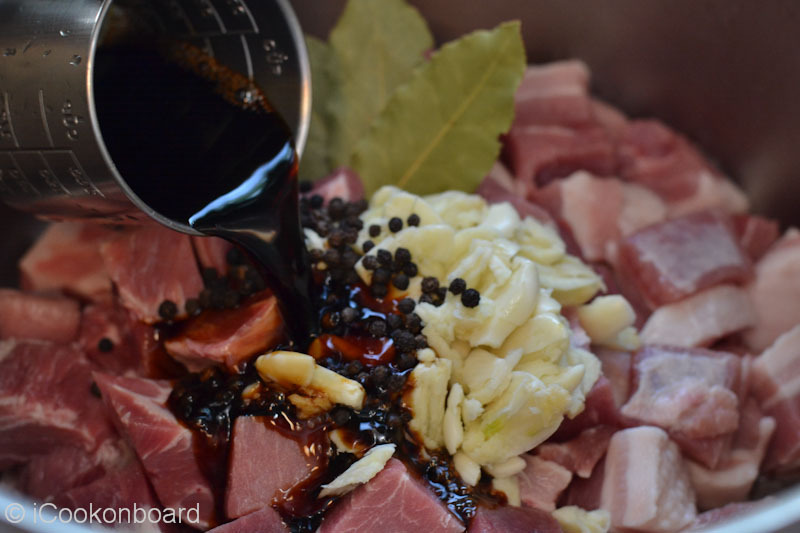 Season to taste with salt and freshly grounded black pepper. 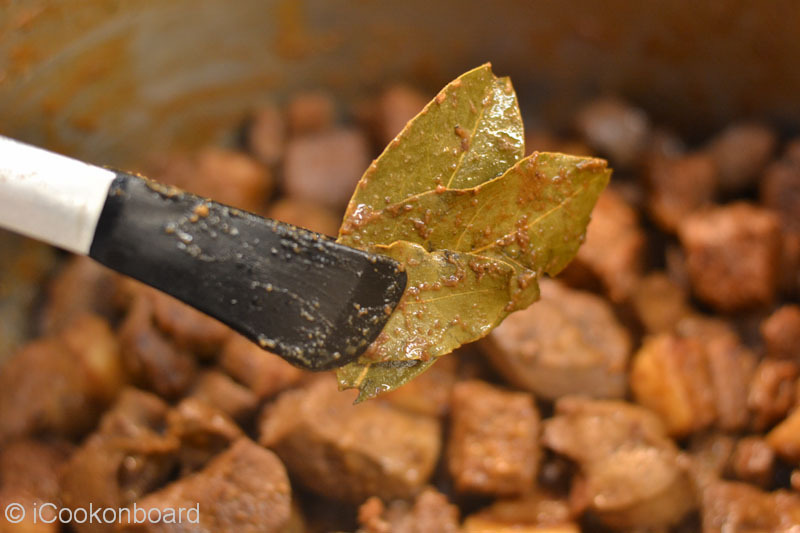 You can discard the bay leaves before serving, or not! 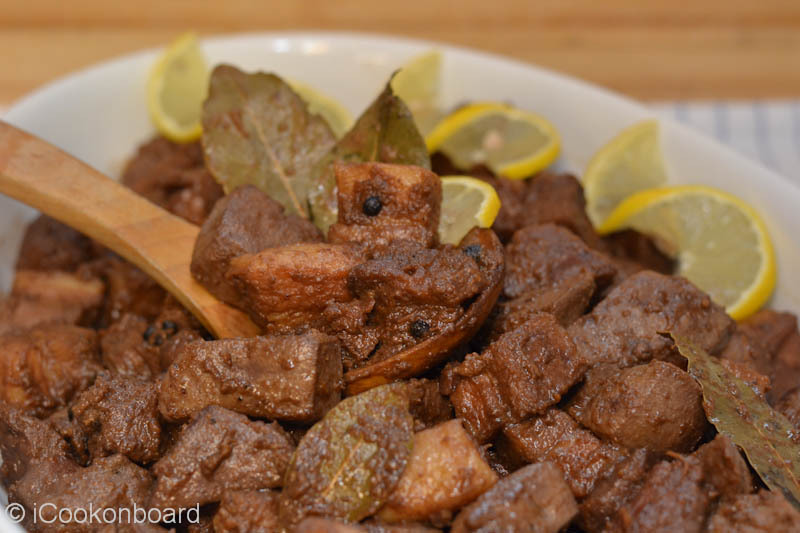 encourage you to try cooking some Pork Adobo with Liver. 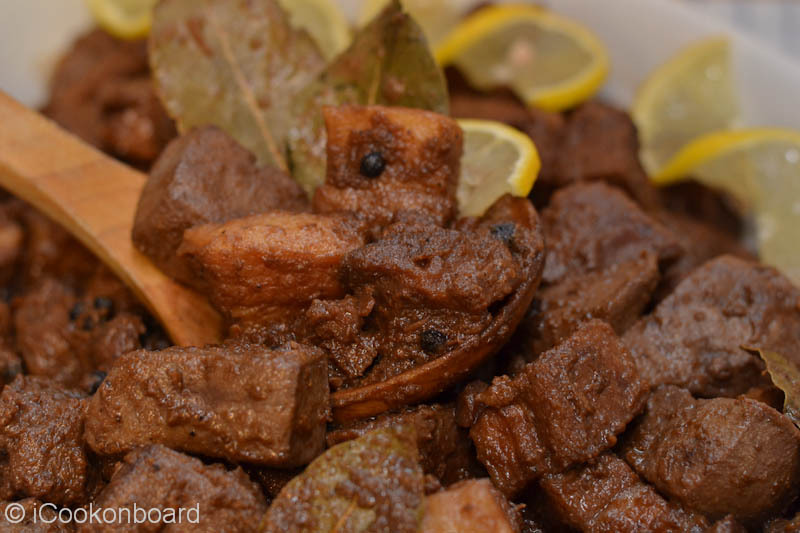 FYI; The most viewed Recipe on my blog is “Lechon Paksiw sa Mang Tomas” which is also my Dad’s recipe. 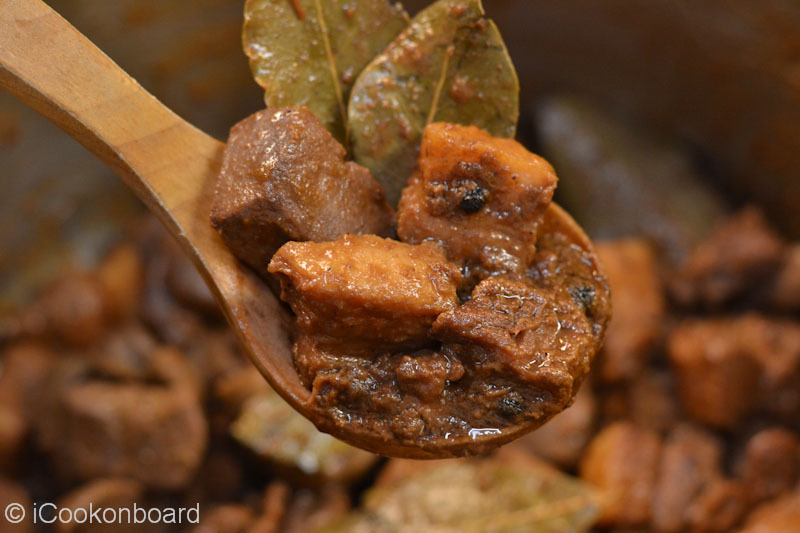 Adobo is such a great dish and I make it often mostly of chicken, pork and fish. 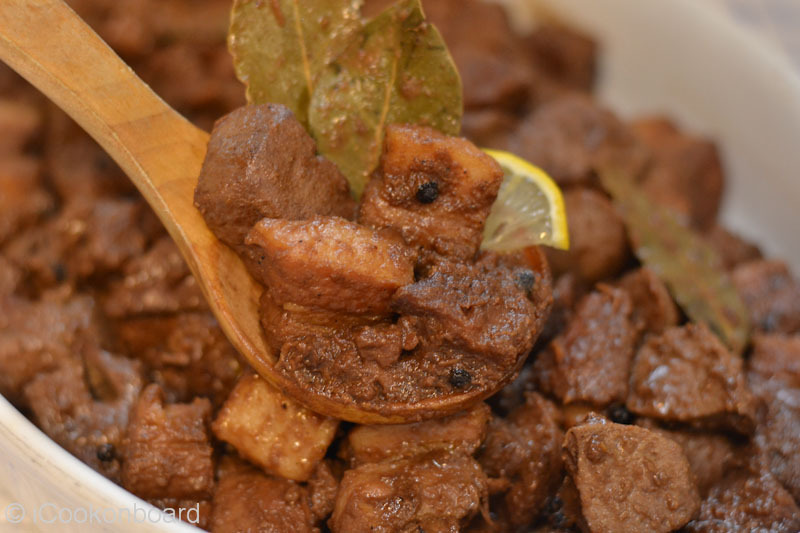 I have never seen a liver in adobo but I love the idea and I am sure it tastes great with liver. Will have that in mind next time I make one. Happy birthday to your dad!!! I’m sure he’d love this foodie tribute.